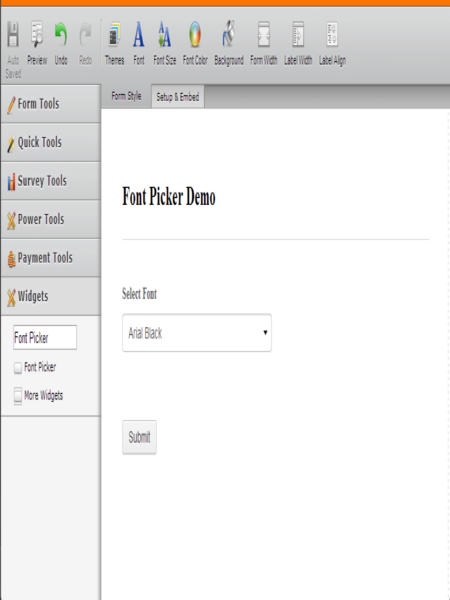 If you&amp;#39;re a web designer that wants to create a form that allows potential customers to select their own web font. Going somewhere for the font listing takes time! Now, you have it in a few seconds. 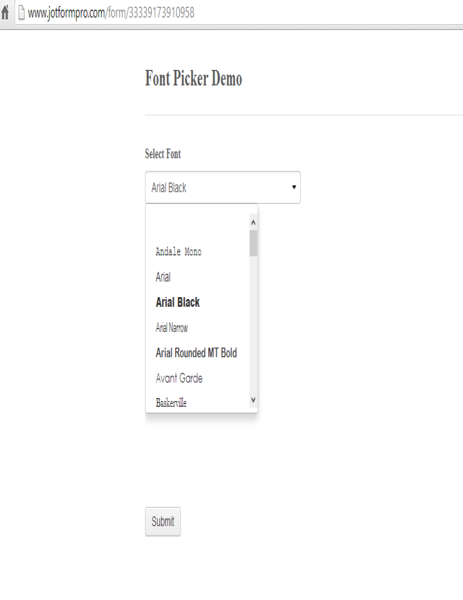 Add Font Picker widget to your form. Font picker is a simple tool that lets you browse through the fonts installed on your computer and narrow down your selection to choose the one that&amp;#39;s right for your project.